Orion air conditioning & refrigeration ltd complete the installation of a Fujitsu VRF air conditioning heat-pump heating system for the 2 storey office building in Doncaster Yorkshire. Autologic Doncaster is a 1950's building made of a concrete structure with 14 areas which needed heating. The building had around 400 meters/Squared of area that used a oil fired convector heating system which was costing a great deal to maintain and was in need of replacing. VRF Air Conditioning units running on 2 x AOY90MPBMF (31 kW / 100000 Btu) VRF Heat pump condensing unit which provided enough heat for the 14 areas on 2 floors within the building. Autologic were quoted on various heating systems including split heat pump systems and a replacement oil fired boiler which came in over budget in comparison to the price of the Fujitsu VRF air conditioning Heat-Pump units which where installed. The Fujitsu VRF air conditioning heat-pump system provided a great value way of heating a office building within a short space of time (30 mins heat up time) and with little cost and reduces CO2 emissions. 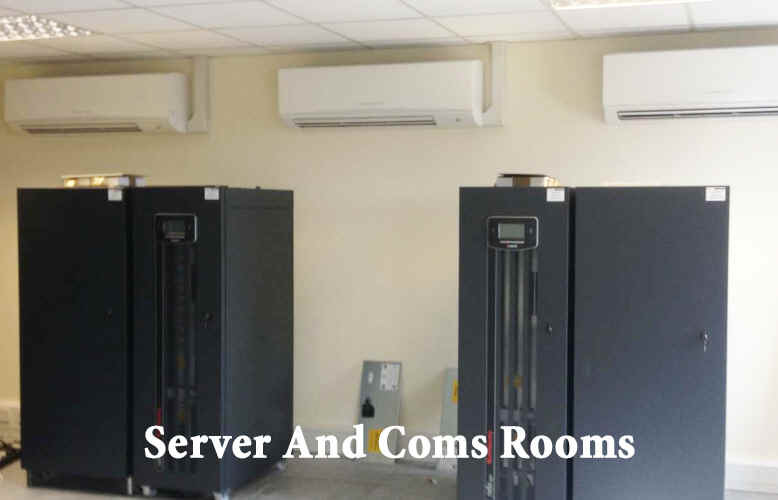 A VRF air conditioning (variable refrigerant flow) system is one large capacity heat pump outdoor unit supplying multiple indoor units by regulating the flow of refrigerant to each unit to match desired capacity and heat load requirement. The Autologic Doncaster project 2 floor office required individual heating and cooling for each areas so a 3 pipe VRF system was required. 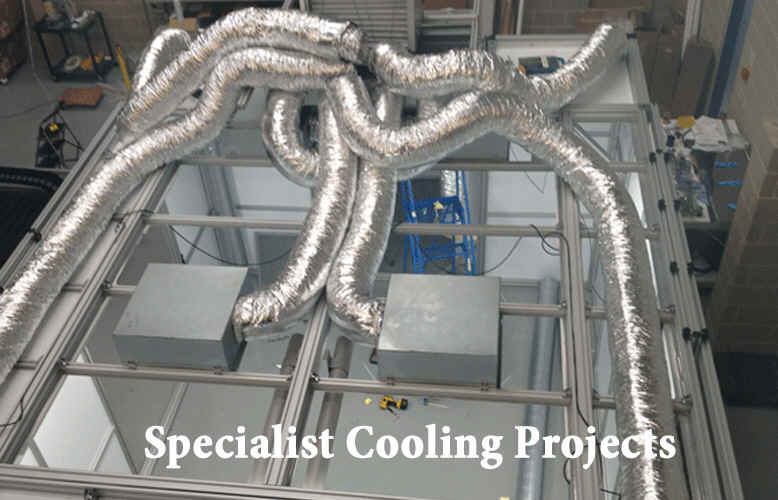 The 3 pipe VRF air conditioning is also a heat recovery unit so all heat is collected from areas requiring cooling and distributed to areas requiring heating. This is particularly useful if one side of the building is south facing and gets a lot of heat from the sun. This Autologic Office air conditioning heat-pump installation was undertaken by lead VRF air conditioning engineer Mr G Toth with assistance from installation engineer Craig Fogarty and Miles Taylor. All pipe and services were installed on the outside of the building on cush clamp pipe fittings at the back of the office building. 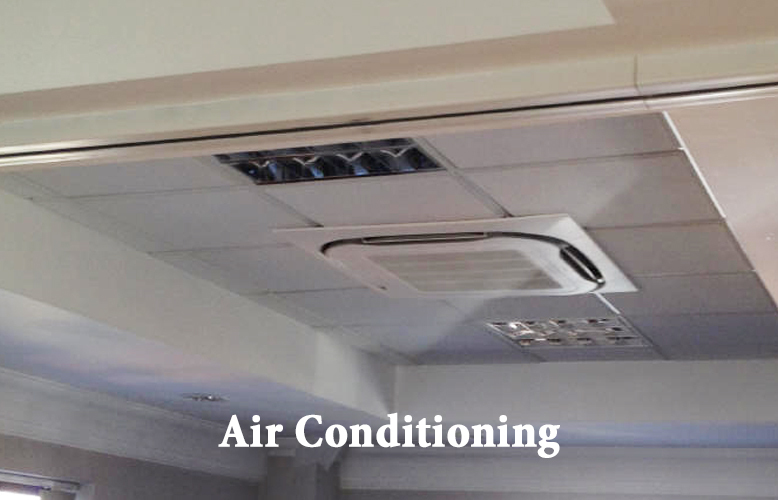 The office air conditioning heat-pump units have a life span of around 15 to 25 years depending on their use. Installation time 20 days. This Autologic office air conditioning heat-pump system took around half an hour to heat fully but once warm the outdoor heat-pump ramped down because the temperature had been reached therefore just pumping small amounts of heat in to maintain heat. The AOY90MPBMF is a heat recovery unit which mean it distributes heat taken from other areas of the building to areas requiring a larger heat load. Typical running cost for the year / system £2148.54. See full costing break down of a similar VRF air conditioning system here.